Jeff Bezos, the richest man in modern history, finally announced the first recipients of his charitable Day One Fund. The initial round of grants total $97.5 million, representing about 1/20th of his proposed investment in the fund, and about 0.0006 percent of his net worth. 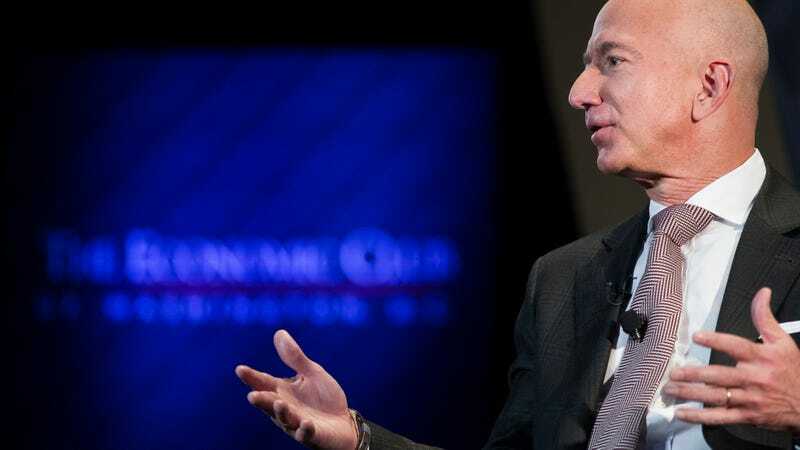 Bezos’s $97.5 charitable gift will be split between 24 organizations located in 16 states and Washington, DC. While there’s no doubt groups like New York’s Urban Resource Institute will make good use of a $5 million windfalls, it’s worth remembering that Bezos bitterly opposed and succeeded in overturning legislation in Amazon’s home city of Seattle to tax massive, successful businesses like his to combat homelessness. Just last week, Amazon finalized its plans for two new, heavily subsidized headquarters, with the Queens, New York location impeding the construction of 1,500 units of affordable housing, and the overall impact of the project likely to push hundreds into homelessness.